I'm joining with other bloggers in posting our "Favorite" or "Best" Post of the year 2011. My best post of 2011 is Bubble Printing Fun with over 630,000 views! (See My Top 5 Posts of 2011 here.) My Favorite Post for 2011 is my Recycled Paper Tube Sculpture pictured below!!! 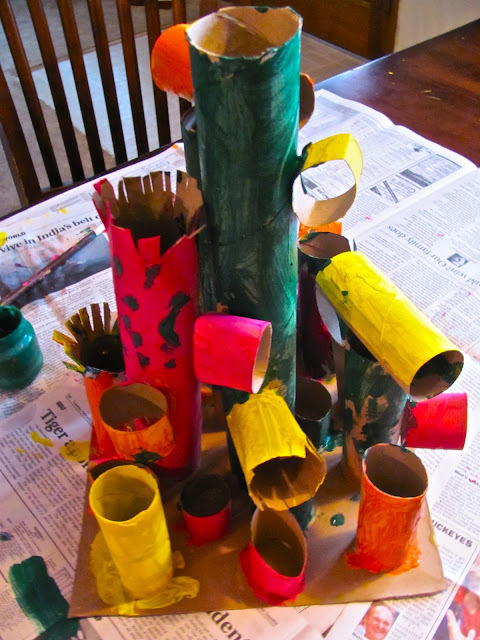 I love this post because it incorporates building with recycled materials and painting. These are two things I love best when developing an Art Activity. Both types of activities are very open and process based which are winners with me! 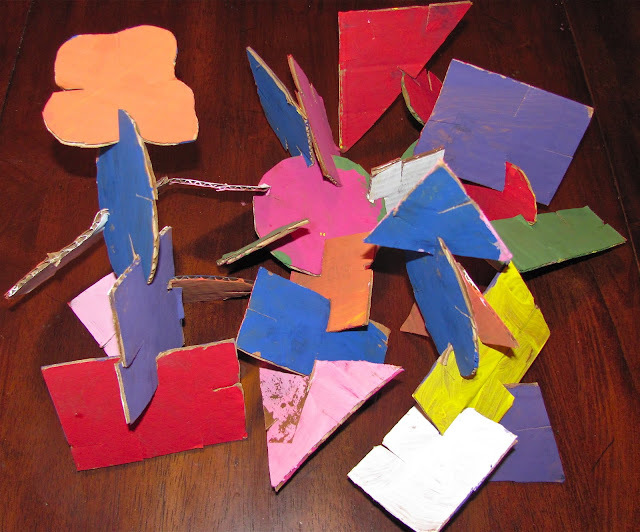 Oh and I almost forgot.....I love sculptural projects too!!! Check out the original post here on Recycled Tube Sculpture and tell me what you think? I also included 4 more favorites of mine below (it is difficult to choose!) Be sure to check out all of the other "Favorites" below from other bloggers in the linky party at the end of this post. What was your FAVORITE post of mine from 2011? Beautiful ideas to revisit and bookmark. I especially loved the tube sculpture and the egg-shaped lanterns! Such awesome ideas!! Love all the colorful projects! I have truly enjoyed each of your posts - I enjoy the look of your presentations; the way you explain how some of the art you and Cassie do, fits in with the world of art; and the time and care you and Cassie take in your creations. I think my favourite post was from this summer, when you and Cassie did some landscape art, when on holidays.